Forget Aspen and Verbier. Skiing Japan means hot springs, hot pots, and a whole lot of powder. 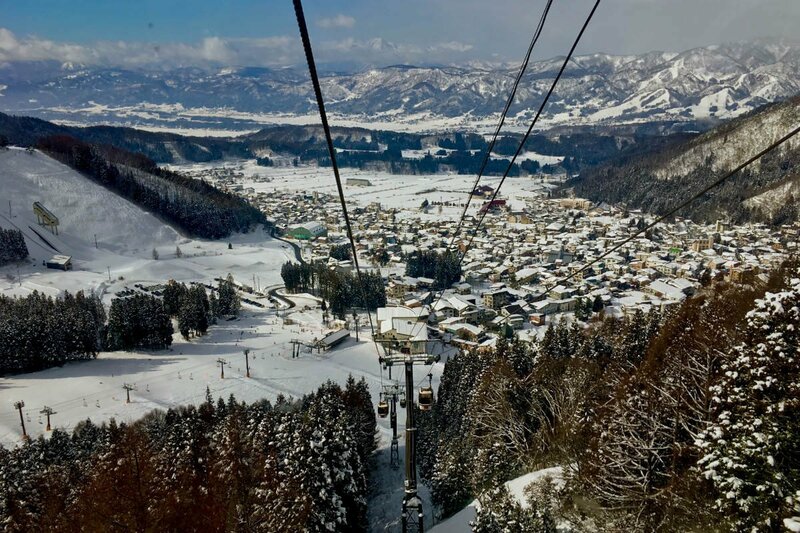 Here's how to hit the slopes in Japan's charming mountain village Nozawa Onsen. NOZAWA ONSEN, Japan – Japan was never part of the plan. My travel buddy Cath might have harbored secret intentions of ending up there, but if she did, I wasn't aware of it. I can say for sure that neither of us planned to encounter temperatures below 60 degrees, and certainly not snow. But after three months in India and Vietnam, the rigors of backpacking had taken their toll on our spirits, and we found ourselves shamefully missing the comforts of the developed world. So, in a fit of spontaneity, we rerouted to Japan instead of Malaysia and booked a stay in the mountains. A few days in Tokyo, some light Googling, and a bullet train later, we arrived in Nozawa Onsen. 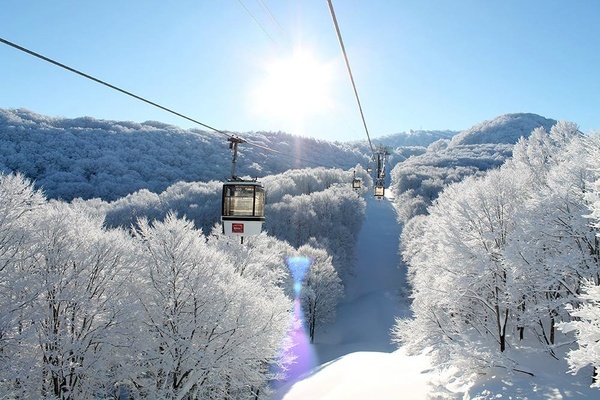 Part of the Nagano Prefecture, where the 1998 Winter Olympics were held, the ski resort is well-known among avid skiers, snowboarders, and Japanophiles. It's also widely regarded as a hotspot (pun intended) for — surprise — onsens, or Japanese hot springs. 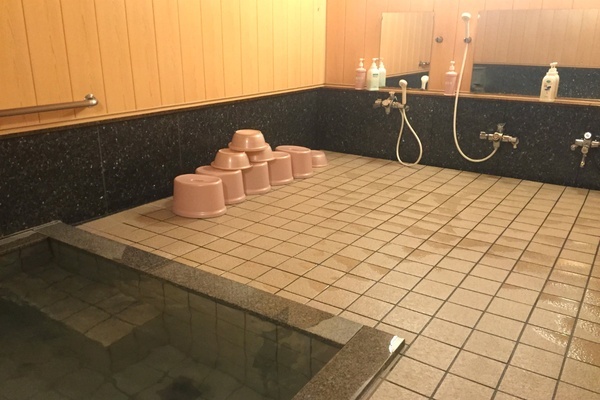 No visit to Nozawa Onsen is complete without a soak. The Chikuma, the "river of a thousand bends" is located just outside Nozawa Onsen. I knew none of these things before arriving in the mountain village, where I chatted with locals and regular visitors, many from Australia and Hong Kong. I hadn't even heard of the village before it popped up in our search for Japanese ski destinations. I wish I had a better explanation for how we ended up there; we just booked it, counting on our resourceful selves (however real or imagined) to figure everything out along the way. Spontaneity is a double-edged sword. Our trip was so impromptu that we failed to consider the lack of credit card readiness in Japan's backcountry. Sure enough, the taxi driver from the train station to the ryokan only accepted cash, a fact we learned only after taking the ride. The front desk was empty, our car was about to roll backwards down the icy hill in front of the lodge, and our driver was growing less patient and less English-speaking by the minute. I was so flustered that after taking off my shoes to go inside and look for assistance, I forgot to put my boots back on, and ran back out to the car in my socks — through a foot of snow. 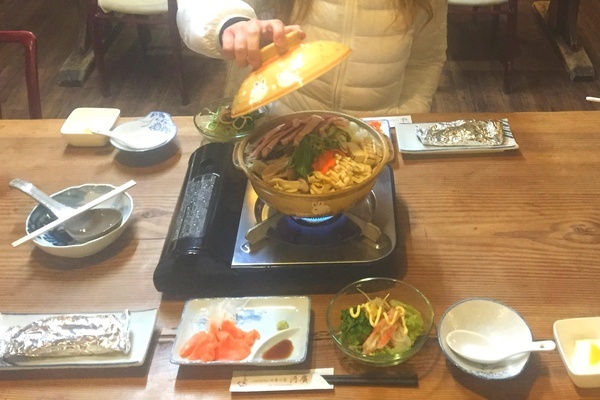 Once the cash debacle was resolved, we settled into our home for the next few days: , a traditional family-run ryokan so close to Nagasaka Gondola that we could ski down the mountain and right up to the back door: real-deal ski-in ski-out. Flanked by a rental shop and a cozy après-ski bar (more about this later), Kawahiro consists of twelve rooms and a small restaurant, which might be more aptly named a dining hall, as there's not a lot of ordering involved (again, more about this later). Having never stayed in a ryokan, or a Japanese mountain village for that matter, it took us a minute to wrap our heads around the "no beds, no bathrooms, no heat" situation. Imagine our confusion when we were shown to a cold room with just a low coffee table at the center. We obviously did a poor job concealing our alarm, because our kind host jumped to show us the futons and bedding tucked in the closet and turned on the space heater, which was so powerful we often found ourselves turning it down. Between the fluffy down comforters, the complimentary pots of green tea (the likes of which I'm still searching for in NYC), the industrial-grade space heater, and the snow-covered evergreens outside our window, the room was the epitome of cozy. Onto the bathrooms: There's a private room downstairs with a piping hot, sharing-size bath and multiple shower heads along the walls. It made for an excellent alternative to the public onsens, where etiquette reigns and foreigners are often scolded. I enjoyed my soak in solitude, a rare luxury on an open-ended backpacking trip, but alas, there was no one to warn me how hot it would be. (Note: onsens are hot tubs on crack.) Sinks are located in the halls, so we had to put our coats on to brush our teeth, a strange new step in our bedtime routine. Finally, there are toilet rooms on each floor, also very cold. But what our ryokan lacked in central heating, it made up for in Toto heated toilets. 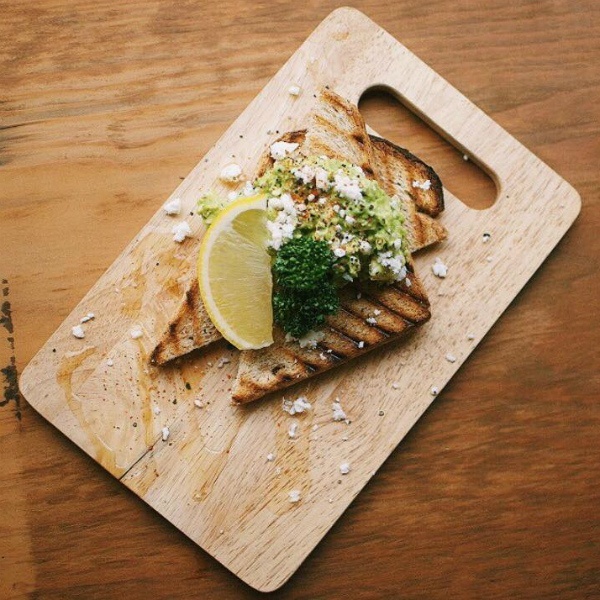 The Craft Room's much-appreciated avo toast. Photo Courtesy of the Craft Room. Kawahiro's restaurant requires reservations for dinner, and we arrived too late to eat there. Having eaten only onigiri for lunch on the train, our stomachs wasted no time announcing their discontent. The owner directed us next door to a Western-style bar called , where, after weeks of unidentified seafood and untold amounts of rice, we were thrilled to find avocado toast on the menu. (Yes, this place is run by Aussies.) With artisanal beers, a full bar, a well-executed Western menu, and a great music selection, we spent quite a bit of time here. Our second night, with quieter stomachs and a little more time on our hands, we ventured outside the immediate vicinity of Kawahiro. Nozawa Onsen draws powder hounds from around the world, but it's still a rural mountain village, so not a lot of signs are in English. Many restaurants aren't even named. The only evidence of social gathering were backlit sliding doors and red lanterns with Japanese script (clear indicators of dining establishments, I have since learned) and were therefore, as far as we were concerned, unmarked. The restaurants on the main drag are more conspicuous, but we were woefully underdressed for a long walk. Wary these doors might open into private homes, neither of us wanted to play the part of Rude Intrusive American, so we turned to Rock, Paper, Scissors. I lost. Approaching our best guess with the trepidation of woodsman poking a stick at a sleeping bear, I slid open the door. I relaxed when it opened to a hole-in-the-wall spot with the best gyozas in town, at least according to the lodge owner who joined us at the bar. The menu wasn't long and the chef/waitress didn't speak much English, but we managed to order a few things, including a killer bowl of ramen. It was exactly the kind of delicious, local food only found by accident. For our third night, we finally got around to making a reservation at Kawahiro. We only ate there the one time, but we might have eaten there every night were our pockets deeper. The ryokan requested we make dinner reservations in the morning (the meal is extensive and prepared to-order), at which point we were asked to choose a meat, so all we knew of our meal was that it would include duck in some form. Our hot pot meal left us feeling fat and happy, if a little confused. Later that evening, our table already set with a few small dishes at each place setting and a large ceramic stockpot over a burner at the center. We removed the lid to find sliced duck breast, mushrooms, and various vegetables, everything raw, in a broth: a traditional hot pot meal. Our "waitress" (the innkeeper's mother, we were sure) mimed instructions, and soon our stew was simmering and other courses started arriving. I wouldn't call it a coursed meal, per se; dishes arrived as-ready while the hot pot simmered between us. The first few courses consisted of salad, raw fish, various sea plants, and some other dishes surely not intended to be identified. The gentle intimacy of our server's wordless presentation suggested that we had been invited into a family home for Sunday dinner. This was not so. Our reality-check arrived with the bill. When we didn't feel like sitting down for a meal, we picked up oyaki at stands lining O-yu dori, the main street. The Japanese dumplings are a specialty of the Nagano Prefecture made by wrapping vegetables, fruit, or anko bean paste in buckwheat flour and steamed with onsen water. They often contain nozawana, a leaf vegetable native to the area. After renting the necessary attire and equipment our first morning (at a discount for staying at Kawahiro!) we trudged all 30 feet up the hill to the gondola. As we ascended the mountain in our cab, I felt that familiar excitement that accompanies the first view of the slopes, the trails spreading down the mountain like roots growing from a tree, expert skiers and boarders weaving their way around pizza-ing newbies. I'm haven't yet mastered skiing powder, but for those who have, there are plenty of off-piste trails. From up high, I understood the appeal of the ski resort. It seemed like I could ski all day, each run on different terrain. That's not what I did. Instead, I repeatedly found myself skiing solo through one particular hall of looming evergreens that gave the impression of a secret trail, like the pines had parted and closed again behind me. It was silent and white and serene. I should have left it that way. Once I shared my magical glade with Cath, sweet Cath, uncannily accident-prone Cath, she promptly fell and broke her wrist. I initially denied the likelihood, knowing all too well her proclivity toward mishaps big and small. Overflowing with sympathy, I may have employed phrases like "you'll be fine," along with "it's definitely not broken," and "shake it off." They were not received kindly. 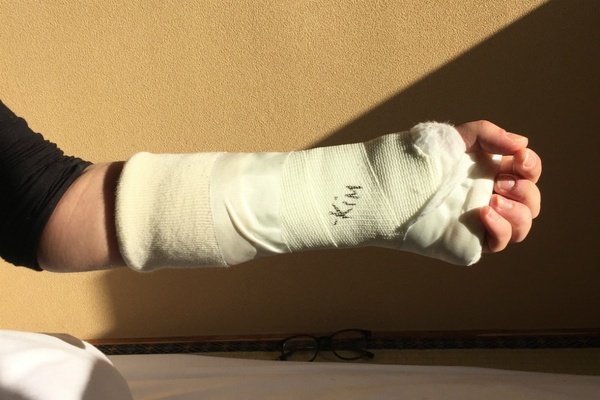 Special shoutout here to Japanese efficiency; Cath was snowmobiled to a clinic, in a cast, and out the door within an hour. Feeling guilty, I signed her cast. We had a hard time finding a Sharpee. Jigokudani ("Hell's Valley") is a park just under an hour outside of town where visitors can watch Macaque monkeys gather to bathe in the natural hot springs. leads great tours. Cath and I were a little monkey-ed out after India, but I plan to meet the snow monkeys when I return. 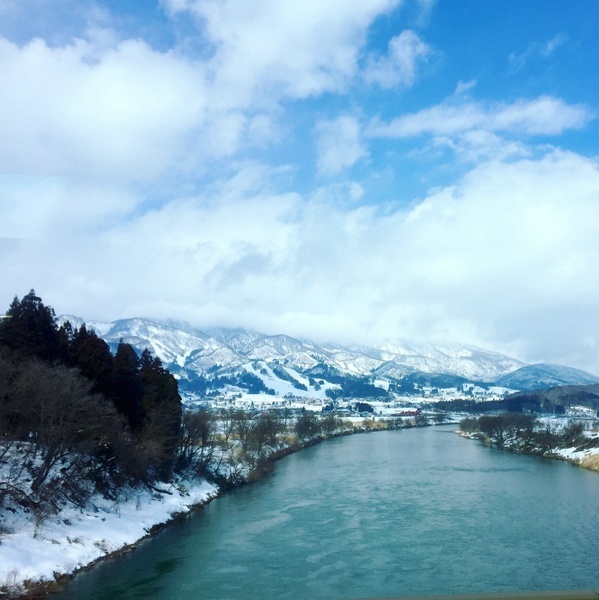 We flew into Narita airport, spent a few days in Tokyo, then took the Shinkansen bullet train out to Nagano, where we hopped another train to Iiyama before getting in the taxi to Nozawa Onsen. Watching the landscape change from gray urban infrastructure to mountains and pines blanketed in snow at 200 miles per hour is not a memory I'll soon forget. The town is small, so you won't need a car (just the taxi to get there), but bring good walking shoes. Lodging at the base of the mountain near the lifts means a ten-minute downhill walk into town, and a 15-minute uphill walk back, often in the snow. In case I wasn't clear, many places in Nozawa Onsen don't take credit cards, and there's only one ATM. Arriving with cash is a good idea. We arrived in Japan with only sundresses and warm-weather hiking gear. I might have had a hat. If you aren't particular about your ski equipment and don't mind spending a morning in a Tokyo Uniqlo, I can tell you firsthand, you can buy everything there.